Rumors from multiple analysts suggest that Apple will launch two new AirPods models as early as Q4 2019. Multiple reports, including an opinion by TF Industries’ influential Ming-Chi Kuo, are pointing to aggressive AirPods updates ahead. The updates could include noise cancellation functionality, water resistance, and significant form-factor changes. At least one of the models is projected to be an iterative update to existing AirPods. The other model is suggested to be a new form-factor with a higher price tag and extra features. The newly updated AirPods iterative model will keep the same price point as the . Currently, there is a $159 entry tier and a $199 bundle that includes a wireless charging case. The rumor also suggests that Apple is changing how AirPods are manufactured. The earbuds will move to a system-in-package design to improve yield rates during assembly. Analysts have not given any definitive features for the new AirPods, other than an ‘all-new design.’ Previous rumors suggest noise canceling and water resistance are in the works for the new line. Analysts expect AirPod shipments to reach 52 million in 2019, with trending sales toward 75 million in 2020. A total redesign of the AirPods doesn’t seem implausible since the current design is somewhat controversial. The buds have been accused of only fitting certain types of ears, and falling out of those with large ears. Several homemade hacks and workarounds are available to buy on Amazon, so it’s a problem that needs to be addressed. Apple’s focus on audio equipment is part of the company’s renewed efforts to branch out. Back in January, the company admitted that iPhone revenues dropped 15% thanks to market saturation. Revenue from other products and services grew 19% to help make up the difference. Apple was the biggest shipper of wearables in 2017, owning 21% of market share. The company recently announced several subscription services aimed at creating a reliable revenue stream for a company transitioning from hardware to services. The iPhone’s high price tag has reached a point of saturation that requires Apple to branch out to survive among stiff competition. Apple Music launched in India four years ago, but the company has just now started to compete. Apple slashed its music subscription fees after rivals like Spotify and YouTube Music have launched in India. Previous rates for Apple Music in India started at Rs60 per month for students and Rs120 a month for single subscriptions. Family accounts were available starting at Rs 190 per month. Both Spotify and YouTube Music Premium launched with similarly low prices in India. The emerging market of India is . These services compete against each other and local start-ups for subscription fees. Apple has updated its subscription tiers to be even cheaper than its competition. Now students only pay Rs 49 ($0.71) per month while the standard individual plan starts at Rs 99 ($1.43) per month. The Apple Music family plan is available at Rs 149 ($2.15) per month. Spotify’s now appears quite expensive in comparison. It will be interesting to see if Spotify responds by offering even lower rates to subscribers. Of the three services, YouTube Premium is now the most expensive music subscription service in India. Apple has also lowered the cost of its devices in India amid tepid sales. The iPhone XR dropped 22% in price down to Rs 59,900. Apple has faced stiff competition in India as budget brands like Huawei and Xiaomi dominate the market. Apple Music in India offers 14 localized radio stations and has partnered with all leading music labels in the country. Those partnerships include Saregama, T-Series, Zee Music, YRF, Universal, and Sony Music. The concept of paying a subscription for music streaming is still in its nascent stages in India. The top five Indian-based music streaming apps all have free, ad-supported services with millions of monthly active listeners. Jio Music, Gaana, Wynk, Saavn, and Hungama all offer stiff local competition. Apple Music and Spotify have been battling over the last few years to become the top dog in music streaming. It’s an admirable goal considering just how big music streaming is these days. It’s pretty much how all us get our music unless course, you’re one those people who still like to buy their music. Obviously, the latter is a noble pursuit and we applaud you for being one the few people left who are willing to go that route. Over the years, it’s been pretty clear that Spotify has been well ahead Apple Music when it comes to their subscriber base. However, a new report from the Wall Street Journal says otherwise. 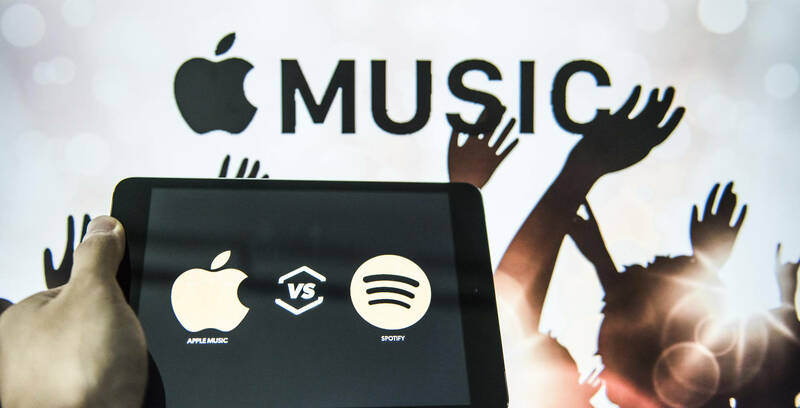 After a report conducted in February, it was revealed that in the United States, Apple Music has surpassed Spotify in paid users. Apple Music currently boasts 28 million paid subscribers, while Spotify has 26 million. No matter how you slice it, that’s a lot subscribers. Spotify shouldn’t worry too much though. Worldwide, Spotify still has more users than Apple, especially when you consider those using the service for free. Although, as the report states, Apple Music’s growth surpasses that Spotify in both the U.S. and the rest the world. It is believed that a lot Apple Music’s success lies in the fact that there are 900 million iPhone users around the world and that every phone comes with Apple Music. Paid subscriptions are even included in some phone plans, which allows Apple Music to continue to grow exponentially. Apple introduced its second-generation AirPods earlier as we speak with a number of new enhancements over the primary technology. The new earbuds will include a wi-fi charging case, a brand new H1 chip for higher battery life, and help triggering Siri by voice. The new wi-fi charging case makes use of the Qi charging normal, which suggests that it’s going to work with any wi-fi charging pad obtainable. Apple didn’t give the AirPods a radically completely different redesign, both. The second-gen AirPods look remarkably just like the primary mannequin, apart from a small LED on the case for battery life. The new, “Hey, Siri” help brings voice management to the AirPods that has been featured on Apple’s new iPhone, iPad, and the HomePod. The newest technology AirPods additionally embody help for Bluetooth 5. The H1 chip included within the AirPods is Apple’s first try at a chip designed for its audio gear. The earlier model of the AirPods featured the W-series chip, which was lifted instantly from the Apple Watch line. The up to date AirPods can be obtainable in two choices. AirPods with the wi-fi charging case can be found for $199, or you may nab a pair with the usual case for $159. Existing AirPods homeowners can improve to the brand new wi-fi case individually for $79. The new case is backward suitable with first-gen AirPods, so it’s not essential to improve if all you need is wi-fi charging. Yesterday, rumors prompt that Apple might , however to this point that rumor isn’t any cube. Also lacking from as we speak’s reveal is the AirPower wi-fi charger that was first revealed almost two years in the past. After months taking part in the ready recreation, Apple customers are lastly getting a primary take a look at the 2nd Generation AirPods. Since debuting in late 2016, the AirPod has loved each a loyal cult following and tons backlash centered round its rectangular look. And but, the corporate stays unfazed by this rising divide, largely because of the general enhance in its Global market share. Hence why the AirPods wi-fi system is getting a 2nd ficial launch, full with a bunch added options. Its reworking will embody the addition a “Hey Siri” operate streamlining the question-asking course of. The mannequin pegged at $159, is simply priced a couple of shades larger than its predecessor. Within the identical roundup, Apple additionally said its intentions to elevate the EarPods in worth, as much as $40, once more a couple of shades larger than its predecessor. Every set AirPods bought can be encased with a “wi-fi charging case” recent out the field. “Switching between units whereas listening to music on iPhone, Apple Watch or iPad is extra seamless than ever with two instances sooner join instances,” said Apple, within the model new marketing campaign eliciting all of the modifications to the product line. Most attention-grabbing to notice: the trouble to streamline each product right down to the lowly EarPods. There’s a cause to consider Apple will outperform the 1 million gross sales projection related to the brand new AirPods, lty expectations they hope will compensate for financials incurred in 2018. Will you be a purchaser come deadline day? A couple of product refreshes from Apple are slated this week, together with a brand new model of the AirPods. But to associate with that, the Cupertino firm may simply refresh the iPod Touch. MacRumors is suggesting that the seventh-generation iPod Touch could seem tomorrow a press launch. Low-profile bulletins of product refreshes has turn into frequent from Apple. The new iPad Air, iPad Mini, and right now’s iMac refresh had been all revealed by press launch. MacRumors additionally stories that Ming-Chi Kuo is the supply of the rumor. The analyst has a great observe report for predicting new product launches from Apple. Developer Steve Troughton-Smith gave the rumor some credibility when he discovered references to a refreshed iPod Touch in iOS 12.2 code. Apple has by no means formally stopped promoting the iPod Touch 2015, and it’s at the moment the oldest machine on supply from the tech firm. 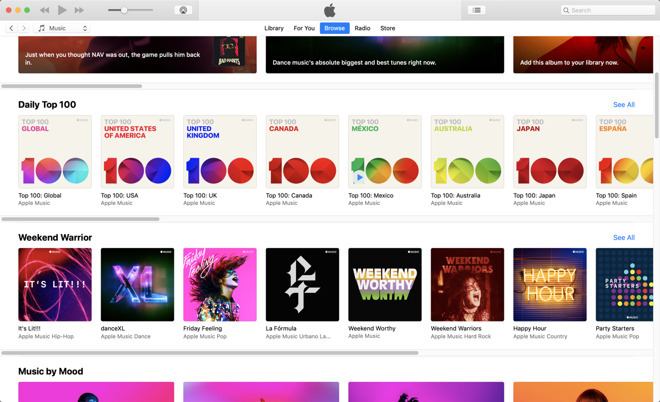 A refresh would make sense, particularly now that Apple Music has gained loads of traction. But how will it perform, precisely, with streaming now the dominant format for music followers? While the rumor of a refresh is wafting about, there aren’t any particulars on potential specs. The 2015 iPod Touch is powered by the getting older A8 processor, which additionally powered the iPhone 6. Speculation means that Apple could also be searching for to carry the iPod Touch design extra according to present iPhone design tendencies. There’s additionally hypothesis on whether or not Apple will take away the three.5 headphone jack from the machine. A refreshed iPod Touch would theoretically assist to promote the anticipated later this 12 months. If the refreshed iPod Touch goes all out and options compatibility with AirCost, then maybe the three.5mm jack can be eliminated. Either approach, we’re eagerly awaiting an announcement from Apple concerning the traditional machine. It’s a disgrace that we gained’t see the return of the press wheel… or not less than we don’t assume. 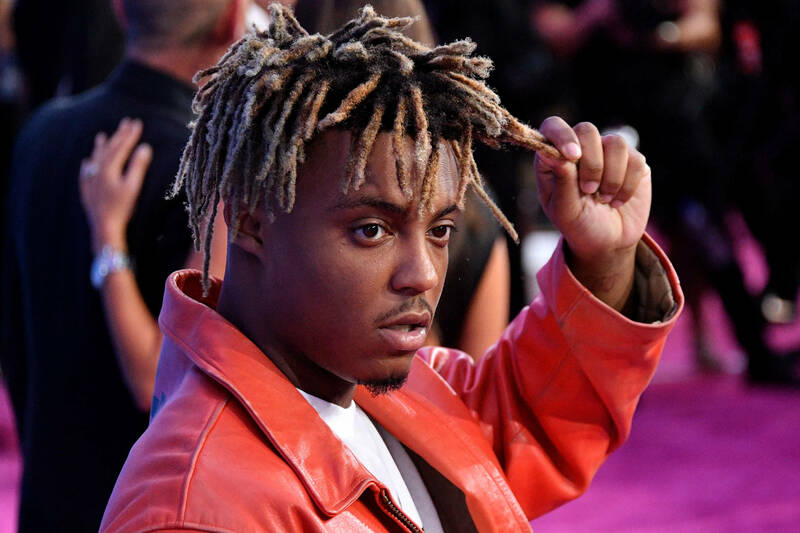 Juice WRLD’s Death Race For Love has been on rotation for many-a-fan, whether or not freestyled or written. The album’s success has already led to a staggering first week, which Juice skilled from his place abroad. After all, the younger rapper has been hustling on Nicki Minaj‘s European tour, holding it down alongside a legend he as soon as loved as a fan. Now, Juice has taken a second to converse with Beats 1’s Rebecca Judd, the place he opened up about his ongoing tour, his rider, working with Young Thug, and extra. Are you continue to bumping Death Race For Love? Conor McGregor bought himself into bother on Monday when he was arrested for strong-armed theft and prison mischief in relation to an alleged incident the place he slapped the cellphone out the fingers a fan and destroyed it. The altercation came about in Miami Beach on the Liv Nightclub. Ahmed Abdirzak, the person who allegedly had his cellphone destroyed, spoke to TMZ about what went down. According to Abdirzak, he was simply in search of a handshake from Conor after which he snapped. Abdirzak says he isn’t a lot upset in regards to the cellphone, however what was truly inside the cellphone. McGregor is about to be arraigned on April 10th this 12 months. Conor McGregor obtained right into a bit hassle just a few days in the past when he smashed the cell phone a fan who was making an attempt to get some photos him. McGregor was promptly arrested after which launched with all it happening in Miami. Clearly, McGregor is not a fan the paparazzi and can do nearly something to get rid them. While this can be true for McGregor, it certainly is not the case for legendary boxer Floyd Mayweather who takes nearly each event doable to troll his present and former opponents. It’s clear that Mayweather was referencing McGregor’s current arrest. The two had unhealthy blood main as much as their battle and ever since Floyd’s victory, McGregor has been jonesing for a rematch. If Conor sees this newest video, his motivation will certainly be on the rise. With MQA now accessible for TIDAL Hi-Fi subscribers operating iOS gadgets, will the choice persuade extra shoppers to sign-up for Jay-Z’s beleaguered streaming service? Several years in the past, to crush the competitors, Jay-Z’s streaming music service, TIDAL, promised main supra-CD streaming high quality. The firm MQA (Master Quality Authenticated) streaming. The MQA file format delivers deep-range, hi-res audio in a small streaming package deal. Last yr, the Merlin Network with MQA. Certified by the RIAA, MQA already has long-standing offers with the large three – Universal Music Group, Sony Music Entertainment, and Warner Music Group. The service makes use of a ‘music origami’ course of to transform massive 24 bit recordsdata into codecs suitable with streaming companies and music gadgets and not using a lack of high quality. An MQA music file will often play at better-than-CD-quality. Tidal prices $9.99, the identical as different streamers. Its Hi-Fi service prices $19.99. Despite MQA now being supplied by companions – Onkuo, Technics, Bluesound, Meridian, and Pioneer, amongst others – shoppers typically can’t inform the distinction between a high-quality audio file and a regular one. In an effort to draw extra shoppers to its service, TIDAL MQA recordings for Hi-Fi subscribers on Android in January. Previously, solely desktop apps may use the choice. Yet, the function was lacking from one key cellular working system – iOS. Now, TIDAL has lastly made the high-quality file format accessible for iPhone and iPad customers. MQA lastly rolls out on iOS. But, will shoppers discover the distinction? As defined earlier, although MQA delivers high-quality streaming, most shoppers can’t tell the difference. Frankly talking, high-fidelity additionally hasn’t caught on within the music business. Why? One phrase – worth. Most shoppers favor to pay $9.99 over $19.99. Ultimately, the worth level stays a excessive client barrier for high-fidelity streaming, making the choice a distinct segment for audio buffs. Yet, that hasn’t stopped TIDAL from rolling out the function to extra customers. On Monday, the streaming music service quietly unveiled MQA for Hi-Fi subscribers on iPhones and iPads. According to TIDAL, MQA recordsdata – 96 kHz / 24 bit – aren’t greater than common Hi-Fi streaming. Yet, the choice to stream grasp high quality recordings required smartphones and tablets with specialised decoding chips. Last January, the corporate revealed it supplied 165,000 tracks within the MQA format. Yet, will the $19.99 worth level proceed to dissuade most shoppers from attempting TIDAL Hi-Fi? Yes. Yes, it in all probability will. Conor McGregor simply completed his community service for a loopy bus assault he was concerned in again in October, and already the former Ultimate Fighting Championship has discovered himself again in bother. According to the Miami Herald, Conor was arrested this night after he smashed a fan’s cellphone outdoors the Fontainebleau Miami Beach resort. The publication particulars how Conor and the fan had been strolling out the resort round 5 AM when the fan tried to take a photograph together with his cellphone. Conor responded by slapping the cellphone out the man’s hand, stomping on it a number of occasions after which taking it with him when he proceeded to take f. The cellphone was mentioned to be valued at $1,000. Conor was not arrested on the scene, however since there have been surveillance cameras outdoors the resort cops tracked him all the way down to his Miami Beach dwelling on North Venetian Drive. The 30-year-old has been charged with felony strong-armed theft and misdemeanor legal mischief. It appears as if Conor’s earlier anger administration programs did not do the trick so the courts could not go as simple on him this time, by simply issuing group service.